problems associated with this sort of chemical treatment. the teeth and even below the gum line into the deep pockets. true in hard to reach areas, like those near periodontal pockets. work killing any plaque bacteria left behind after your normal oral hygiene routine. time again as one of the best ways to improve gingival health and stop gum disease in its tracks. which make up dental plaque! gel all about the teeth and even below the gum line into the deep pockets. is especially true in hard to reach areas, like those near periodontal pockets. goes to work killing any plaque bacteria left behind after your normal oral hygiene routine. and time again as one of the best ways to improve gingival health and stop gum disease in its tracks. 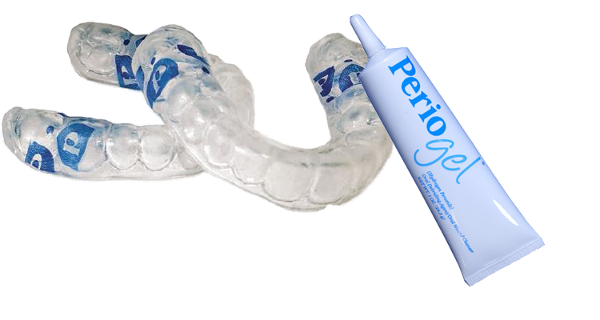 ASK ANY OF OUR STAFF MEMBERS OR DOCTOR ABOUT HOW THE PERIOPROTECT SYSTEM CAN BENEFIT YOU!